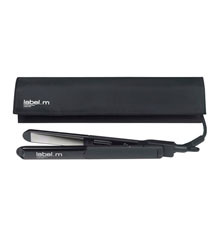 Label.m Advanced Pro-Session Straighteners for the smoothest, sleekest finish. Titanium heat expansive technology prevents pulling and dragging of the hair, while the hardwearing plates reach optimum temperature within seconds, making them instantly functional. Heat settings are adjustable up to 210°C while the negative ion transmission technology eliminates frizz and static. A curved barrel has been designed with curls, flicks and waves in mind, making the Pro-session Straightener a versatile high performer. A three metre swivel cord has been integrated to give enhanced freedom of movement, particularly when styling curls. For enhanced safety, an automatic switch off function has also been installed. Multi voltage, the Pro-session Straightener can be used worldwide and comes complete with an EU adapter. The durable easy to clean plates ensure outstanding standards as you style. 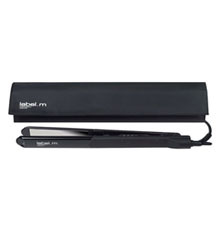 Label.m Advanced Pro Mini Straightener - The upgraded Advanced Pro-Mini Straightener features stronger Titanium plate life with a cool grip for added control styling for short textures. the Pro-Mini Straightener is ideal for short texture styles and precision detailing and has Slim line Longer Plates for ultra fast styling from the root. The Durable Floating Titanium Plates provide up to 100,000 more uses than average titanium plates and the Gloss Finished. Curved Barrel delivers extra smooth styling of curls, flicks and waves ...... with no kinks. The Ceramic Heater transmits negative ion and infra red to keep hair frizz free while the plates heat in just 90 seconds. Titanium Heat Expansive Technology prevents pulling and dragging to the hair and the hardwearing titanium plates provide faster conduction of heat. Ideal for fine textures, short to medium hair lengths. Ceramic handle with soft rubber pad for maximum grip and ionic nylon bristles to combat static. 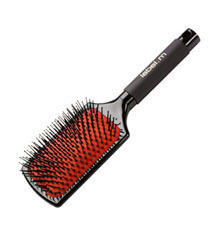 Shape, smooth and polish hair with this perfectly portable cushion brush. Professionally designed to provide expert results in a compact form, the ergonomically designed handle provides maximum grip and control during blow drying. 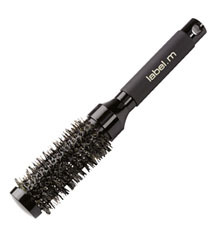 Perfect for fine hair textures and short to medium length styles, anti-static, ionic nylon bristles reduce static and deter flyways whilst promoting water absorption for healthier, glossier hair. Ideal for thick textures and long hair lengths and adds body and eliminates frizz. Fast heating ceramic barrel for effective blow drying straight or barrel Curls. 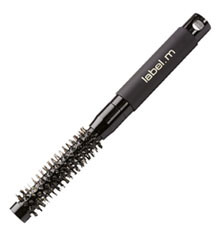 Combination of boar and ionic nylon bristles to combats static. A backstage favourite, this expertly designed brush is perfect for eliminating frizz and adding body to long hair and thicker textures. The large ceramic tube heats quickly, allowing larger sections to be blow-dried smooth quickly and efficiently. A mixture of boar and ionic nylon bristles expertly hold hair, while reducing static and promoting water absorption for maximum shine. Great for creating exaggerated barrel curls during blow drying. Ideal for mid to long hair lengths and adds body to layered styles. Fast heating ceramic barrel for effective blow drying straight, creating curls or flicks. Combination of boar and ionic nylon bristles to combat static. A session stylist essential, this expertly designed brush is perfect for long to mid-length styles and medium hair textures. The ceramic tube heats quickly, allowing thicker sections to be blow-dried smooth quickly and efficiently. A mixture of boar and ionic nylon bristles expertly hold hair, while reducing static and promoting water absorption for maximum shine. Great for creating barrel curls during blow drying or shaping rounded flicks at the ends. Ideal for layered looks. Ideal for medium to fine shorter hair types and adds body to layered styles. Fast heating ceramic barrel for effective blow drying either straight, creating ringlet curls or flicks. Combination of boar and ionic nylon bristles to combat static. 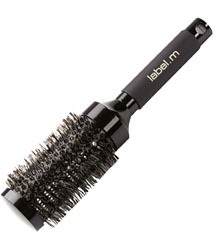 A session stylist essential, this expertly designed brush is perfect for shorter styles and fine to medium textures. The ceramic tube heats quickly, allowing thicker sections to be blow-dried smooth quickly and efficiently. A mixture of boar and ionic nylon bristles expertly hold hair, while reducing static and promoting water absorption for maximum shine. Great for creating ringlet curls during blow drying or shaping rounded flicks at the ends. Ideal for layered looks. Ideal for thick textures and long hair lengths. Ceramic handle with rubber pad for maximum grip and ionic nylon bristles to combat static. 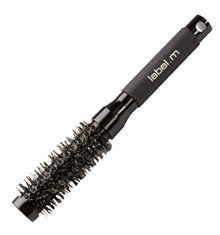 This classic, professionally designed brush is a long hair essential. Perfect for blow-drying thicker hair catwalk-smooth and straightening large sections at a time, the soft grip handle and anti-static rubber pad ensure maximum control. 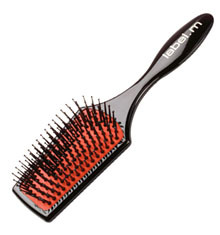 The wide base adds natural movement and body, while anti-static nylon bristles reduce static. Ideal for short hair lengths of all textures and helps to smooth fringes. Fast heating ceramic barrel for effective blow drying. Combination of boar and ionic nylon bristles to combat static. A session stylist essential, this expertly designed brush is perfect for short hair of all textures, styling short layers and smoothing fringes. The ceramic tube heats quickly, allowing styles to be dried quickly and efficiently. A mixture of boar and ionic nylon bristles expertly hold hair, while reducing static and promoting water absorption for maximum shine. Great for creating tight, runway-inspired ringlets. 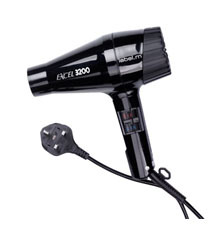 Label.m Turbo Dryer 3200 (UK plug) high performance professional salon hairdryer. This turbo force dryer operates at 1900 watt offering two speeds and five temperature settings including a cold shot and a heat resistant nozzle. Energy efficient this hairdryer speeds up drying time by up to 40 per cent. 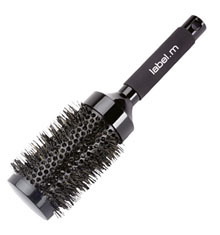 Label.m Professional Salon Diffuser, featuring over 60 air apertures for enhanced volume and improved curl formation. 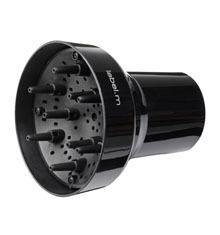 The universal fitting means the diffuser can be attached to any professional salon hairdryer. A backstage favorite, this expertly designed brush is perfect for eliminating frizz and adding body to long hair and thicker textures. The large ceramic tube heats quickly, allowing larger sections to be blow-dried smooth quickly and efficiently.